A state-of-the-art facility, located on Chancery Lane, London. There is access within the clinic to a private GP and a internationally renowned chiropractor who has been cross referring with Physical Project for over 10 years. The UK's number 1 altitude training specialist. In 2003 Director Richard Pullan set up The Altitude Centre which has become the leading company in its field. Their clients include Alistair Brownlee, England Football, Liverpool FC, UK Athletics, and Lions Rugby. They are innovators in the world of simulated altitude training for both acclimatisation, performance and rehab purposes. Our favourite brand of kinesiology tape. RockTape help athletes of every level go stronger, longer by spreading physical stress, normalising muscle tone, delaying fatigue and decompressing areas of swelling and inflammation. Having achieved her Level 4 Authentic Pilates Instructor Certificate, Ketty Bucca formed Intelligent Motion in 2007. There are only two authentic Pilates instructors qualified to this level in the United Kingdom. Ketty has studied the application of Pilates to scoliosis and hip and knee injuries and has great experience of treating clients with lower back problems. A world-first challenge to raise vital funds for The Brain Tumour Charity. Physical Project are proud to be providing therapists for the team as they attempt to ascend on skis (with ‘skins’) the equivalent vertical height of Everest in as short a time as possible. Jamie Baird is one of the UK’s leading health and fitness professionals with an impressive 15 years experience at the forefront of the industry. Having originally studied sports science at Loughborough University, Jamie is now a fat loss and fitness specialist with an unparalleled reputation reflected by his client list. A fantastic not-for-profit organisation that promises to "leave the world better than we found it". Their activities, acts of kindness and events include the aim to raise £1million for good causes through a series of static bike spinning events. Join their tribe by following them on Twitter & Facebook. 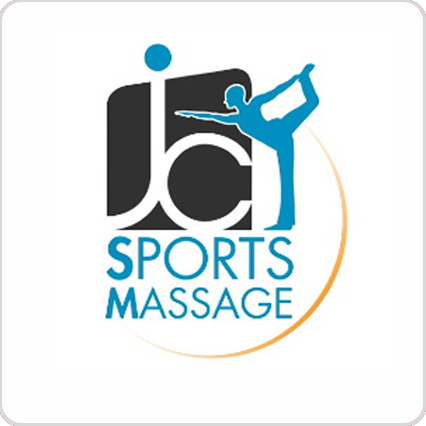 A soft tissue and sports massage therapist based in Leicestershire, Joanna has worked with us at several events. Working both at one of the Midlands most prestigious physiotherapy & sports injury clinics in the UK’s sporting capital of Loughborough, as well as in a more informal setting in Syston, N Leics, you can be guaranteed a holistic and appropriate approach to your care. Challenging rides. Inspiring landscapes. Luxurious living. Etape Suisse offers a unique experience combining breathtaking scenery with restorative opulence in the finest locations the Swiss Alps have to offer. Membership brings year-round benefits that can even be wrapped in a tax efficient package tailored to suit you.